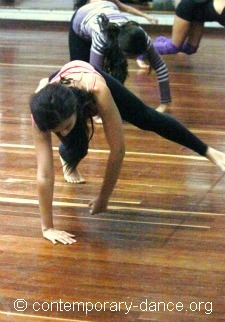 Release Technique: a training method for contemporary dance. The expression ‘ Release technique ’ within the field of dance refers to a training and/or studying method that aims to reeducate or enhance motricity, as its most general goal. It is said that it should not be considered as a ‘technique’, because this word is commonly used by dancers to name training systems that have defined choreographic vocabularies and make part of the aesthetical project of a unique choreographer. In that sense, the Release technique should be understood differently, because it seems to have evolved from a collective spirit, it can not be attributed in history to a unique figure and it does not have fixed choreographic shapes through which it can be identified. However, the Release technique applies its educative goals through dance and mainly for dance. Therefore, it has common features of method and function with traditional dance techniques and this might be why its popular name refers to the practice in that way. 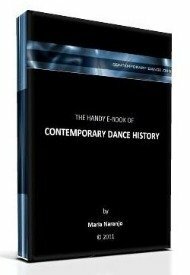 This particular approach to movement gained great popularity among the postmodern dancers of the 1970s in the U.S. However, its roots seem to have arisen much before, by the 1930s, in the explorations made by Mabel Elsworth Todd, who created a form of somatic education. Following her teachings, Lulu Sweigard gave Todd’s method the name of ‘Ideokinesis’. Other figures continued working on it, like Barbara Clark or Joan Skinner who systematized a derivative work and gave it the name of SRT (Skinner Releasing Technique). SRT was taught by Joan Skinner and the American Contemporary Dance Company through the 1970s, mostly in Seattle, Washington. Yet, the principles of what is generally called ‘ Release technique ’ spread around the world and have still, forty years after, a strong presence in the choreographic language of many artists. - Use of images (associative concepts or idealizations of physical actions) to produce or awaken new kinesthetic experiences and awareness. For example, imagining that there are marionette strings attached to our knees that pull our legs; imagining that we move inside water. The images are supposed to facilitate movement execution. - Incorporation of elements from the psychology of growth. The movement patterns of the baby, while developing the force to stand up, are used to produce an assorted floor work. Lying and going to the fetal position are widely spread, for example. - Understanding of the human being as a unity in which there are energetic flows, instead of the idea of the mind-body duality. - Belief in the existence of an unconscious intention that defines each person’s movement. Use of the notion of the body's ‘image’, which would be the deep root from which each person’s movement arises. - Importance of perception and subjective kinetic experience. - Learning of movement through its relationship to physical laws more than according to aesthetical judgments. - Search for the potential of human anatomy, instead of trying to modify it. The neurological system is considered as being as important as the musculoskeletal system in the execution of movement. - Alignment of the body in such a way that weight is supported through the center of the bones and thereby re-patterning the flow of energy so that movement is started by the muscles that are closest to the body’s center. This fact gives Release the nickname of ‘technique from the bones’. - Consideration of stillness as a starting and ending point, through the use of the so called ‘constructive resting position’. This position is understood as a generator of a wider disposition, both for the new kinesthetic experiences and for creativity. - Interest in the creative process. Use of improvisation as a way to generate new ways of moving, composing and stimulating creativity. - Understanding of the dancing experience as a dynamic experience and constant process in which unconscious control can occur. Even if the principles above are more or less widely recognized, this technique is practiced world wide with different styles. Dancers and teachers who use it usually coincide in its definition as an approach in which assorted bodily practices converge: meditation techniques, martial arts, therapy, methods of teaching kinetic awareness, body therapies such as Feldenkrais, Body-Mind Centering, Skinner Releasing, Alexander and other philosophical trends. In fact, it is very common to find contemporary dance workshops that use that name, just because the workshop material is related with some of the principles. Therefore, the use of the name itself is associated with choreographers and dancers everywhere and has ended up defining nothing that circumscribes to a unique and easily recognizable system. Yet, whenever a quality of apparently ease in movement is produced, people point out that the Release principles are present. For outsiders, that might be an important quality of the movement generated by the R. T.. The dancers look relaxed and the movement feels soft and of an easy execution. However, the Skinner Releasing Technique (which would be one style, yet maybe the main and mother of the rest of them) clarifies that SRT does not aim to just relax the body but rather to prepare it to be available to any image or creative idea. It looks for releasing imagination by not simply releasing the excess of muscular tension but by trying to release deep physical pre-conceptions as well. Even if the Release technique is acclaimed and studied world wide, it is also recognized by dancers that it does not prepare for the unlimited challenges faced by dancers nowadays (just as it happens with the rest of other contemporary dance techniques). However, among the many movement methods that make up the present contemporary dancer’s trainings, the Release technique is considered as a ‘must-know’ subject for any professional dancer.